To go to Barnes & Noble's ebook Sales Page, click here. To go to Barnes & Noble's Paperback Sales Page, click here. To go to universal link, click here. 8) Through STOSS it will be revealed, to a much greater degree, what were some of the effects brought about as a direct consequence of the completion of His mission upon the world - past, present, and future. 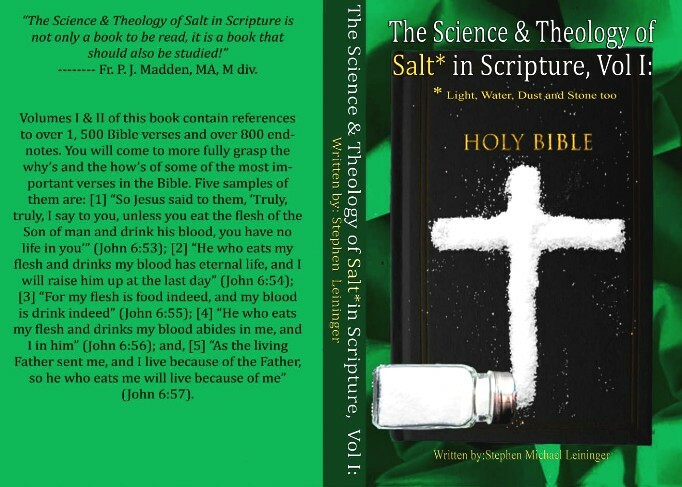 Clearly, V.1 is primarily concerned with the theological and biblical aspects of salt, dust, and stone in the Bible. However, some science is discussed. This is why only twelve of the available thirty-four mysteries are revealed.